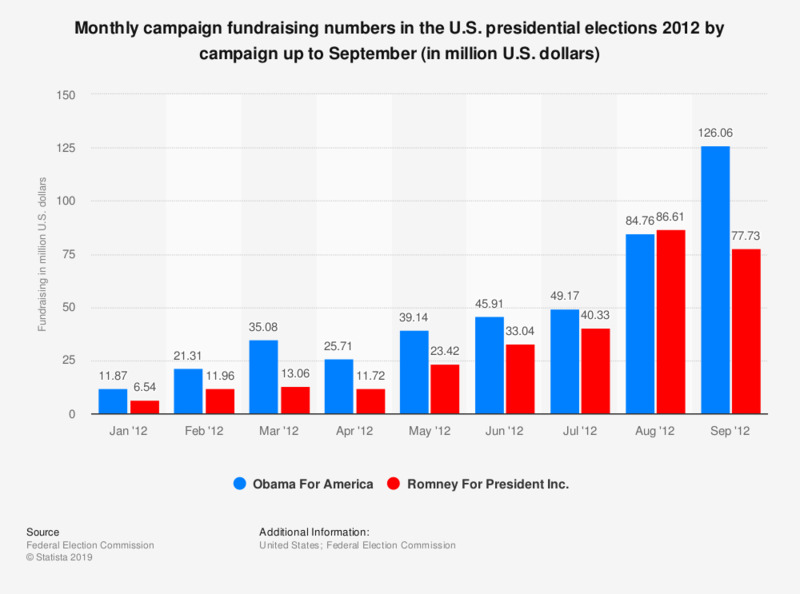 This graph shows the campaign fundraising in the upcoming elections 2012 by presidential campaign. Depicted is the money raised up to September 2012. In September 2012, Obama For America raised about 126 million U.S. dollars.